e-CAM137_CUMI1335_MOD is a high performance, 13 MP 4K camera module with S-Mount lens holder and it has better low light performance. 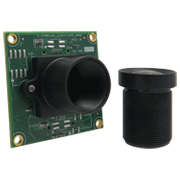 This small form factor 4K camera module is based on 1/3.2” AR1335 CMOS image sensor from ON Semiconductor® and has a dedicated, high-performance Image Signal Processor (ISP) that performs the entire Auto functions like auto white balance, auto exposure control in addition to complete image signal processing pipeline that provides best-in-class images and video. The MIPI Camera daughter card (e-CAM130_CUXVR) can be bought by customers choosing to evaluate the e-CAM137_CUMI1335_MOD camera solution with a direct interface on the NVIDIA® Jetson Xavier Developer Kit. 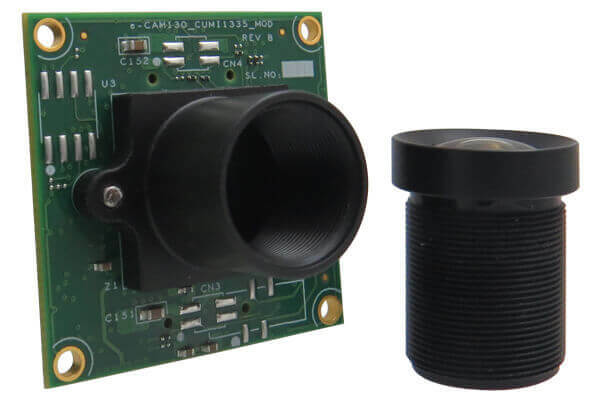 The MIPI Camera daughter card (e-CAM130_TRICUTX2) can be bought by customers choosing to evaluate the e-CAM137_CUMI1335_MOD camera solution with a direct interface on the NVIDIA® Jetson TX2/TX1 Developer Kit.